Ever wondered how your peers are managing their boards? After the tremendous response to our recent Expert Webinar on Tools For More Effective Board Meetings (led by Dr. Rick Lent), we decided to continue the conversation with our Small Membership Advisory Community (SMAC). In this break-out session, we discussed the challenges, real life examples, and practical ideas and tips for running board meetings. Ahead of the session, we asked our Membership Community members what their top challenges are in running or participating in their board meetings. Do any of these sound familiar to you? Staying on time and getting through the agenda. Staying on topic – sometimes we go into too much detail over one issue and this can derail the conversation. Giving everyone an opportunity to speak – it can be hard to give everyone a chance to speak and some board members hi-jack the conversation while others don’t say anything. Coming to a group consensus (decision-making) – sometimes it can be really hard for a group to arrive at a consensus, especially on decisive issues. Engagement – getting people to participate, engage and actually follow through on their commitments (from one meeting to the next). As my colleague Lori Smith noted as she opened the session, we’ve all been in meetings that go on and on and yet nothing gets accomplished. It’s often because one person in the room takes over the conversation and derails the entire agenda. Whether it is tension in the room, other power dynamics, or ineffective planning and preparation – all of these things lead to ineffective meetings and ineffective boards. In his webinar presentation, Rick Lent explained that “unseen structures affect what we do” and how board members participate. From the physical set-up to how we use time and procedural process, these all impact how board (or committee) members interact with one another and ultimately, what gets accomplished. So we asked our SMAC community what ideas or tactics they’ve found helpful in keeping their boards on track. After an idea-packed one-hour session, here are the seven ideas, tips and tactics they offered up that might help you make your board meetings more effective and efficient. Traci Kantowski (Junior League of Kane & DuPage Counties) told us that since her organization's board serves a one-year term, they decided to identify five top priorities to accomplish during that year. They brainstormed and put all of the initiatives on post-it notes, then worked together to prioritize the top five. These included a project to consolidate member records (which we’re pleased to report, they accomplished through Wild Apricot). Traci also introduced the idea of “board champions”. For each of her board’s initiatives, they identify one board member who will “champion” that project or task to completion. Dana Mordecai (Texas Association of Graduate Admissions Professionals) noted that aside from the agenda for their monthly meeting, her board sets actual meeting goals ahead of time and then they refer back to those periodically to see if they are on track. Rick also suggested that it can be helpful to have members other than the board chair or president take on roles, such as having a timekeeper and a note taker (to capture ideas on a flipchart or whiteboard). These individuals can help keep things on track, without the chair having to constantly bring the meeting to order or try to convince people to move on. A number of participants noted that their board gets bogged down reading or reviewing reports and minutes. This can lead to “bored” meetings. Instead of moving the organization forward, this makes participants lose interest. It was suggested that the board use a consent agenda to speed things up. The consent agenda can be one item that can include, for example, your meeting minutes, the financial or other reports that the group was tasked with reviewing prior to the meeting – all of which simply require approval. This way, you limit the time consumed with reading, reviewing or discussing these, and can spend most of the meeting’s time on items that do require reflection and discussion and which move the organization forward. Gary Roth (Austin Skiers & Boarders) noted that his board has found that using Robert’s Rules Of Order “In Brief” offers the structure they need in a more simple format for small organizations. In advising his peers on how to keep the board on topic and moving forward, Gary suggested “it’s just a matter of politely telling people: we’ll discuss that at the end or under new business”. Create the agenda and share meeting minutes. All meeting participants can have the documents open on their screens and even make changes in a live environment. Add action items, updates or identify the person responsible for action items in real time on the shared agenda document during the meeting. Have a focused agenda of consent and discussion items, with clear objectives and timelines. Want to listen to the full audio recording? What do you think? Will you apply some of these simple, but effective tips and tactics to your next meeting? 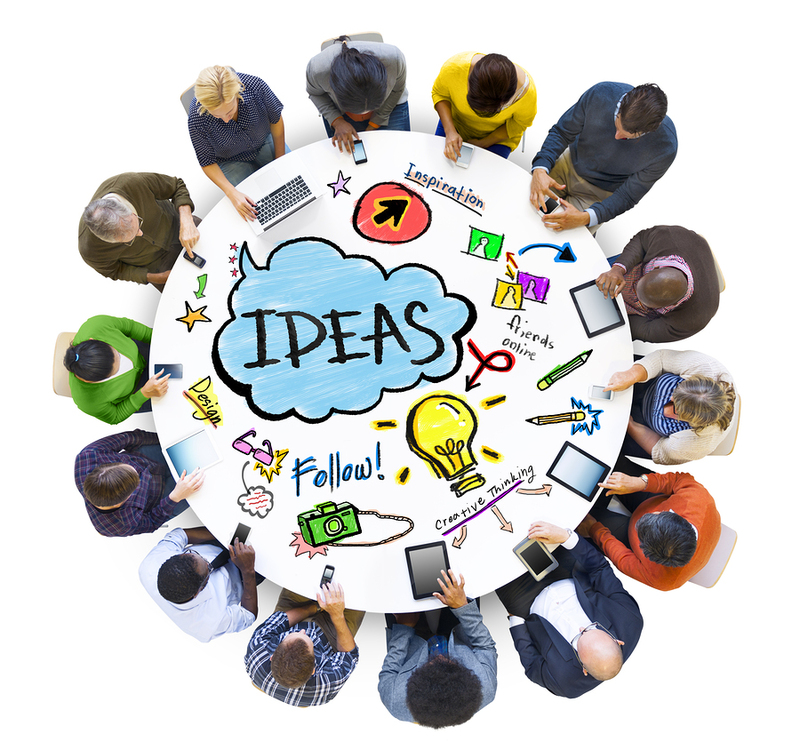 What else can you suggest to help your membership peers run more effective board meetings?